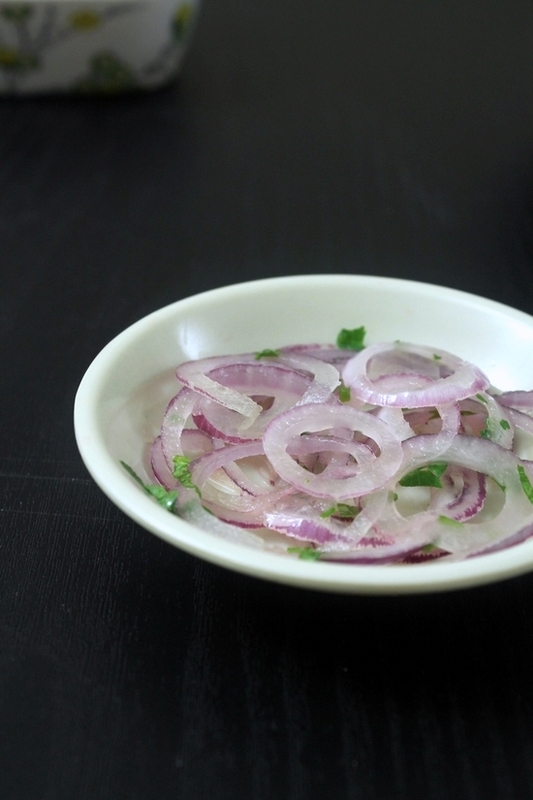 Onion lachha recipe – easy accompaniment salad made from thinly sliced onion rings. It is called pyaz ka laccha in Hindi. This lachha salad is quick and easy to make. Thinly sliced onion rings are mixed with chopped green chili, coriander leaves, salt and lemon juice. This is the side dish that is prepared and served along with North Indian dishes like tikkas, kebabs or rich paneer gravies.
. I came to know about the onion lachha salad recipe. Now then I am making it very often. In the days of joint family, this is one of the tests of a new bride’s culinary ability. The test is how finely she could slice the onion rings for the lachha onions. Traditionally, they cut the onions into almost threadlike shreds. This requires experience and practice. So try as best as you can and slice thin onion rings. Many times you won’t be able to slice the whole ring, it will break. It happened to me as well. 1) Slice the onions into thin rings. Soak them in cold water for 15 minutes. you can skip this step. 2) Drain all the water. 3) Add chopped green chili and coriander leaves. 4) Also add salt and freshly squeeze some lemon juice. 6) Remove it to a serving plate and serve fresh. Best served fresh. It will smell strong if stored for longer time because of the raw onions. And because of the salt, onion starts leave its water. Serving suggestions: Serve as side dish with tandoori dishes like paneer tikka, aloo tandoori or kebabs. 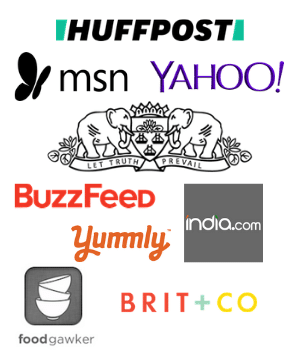 It can be served along with meal (paratha/naan and rich punjabi curries e.g. 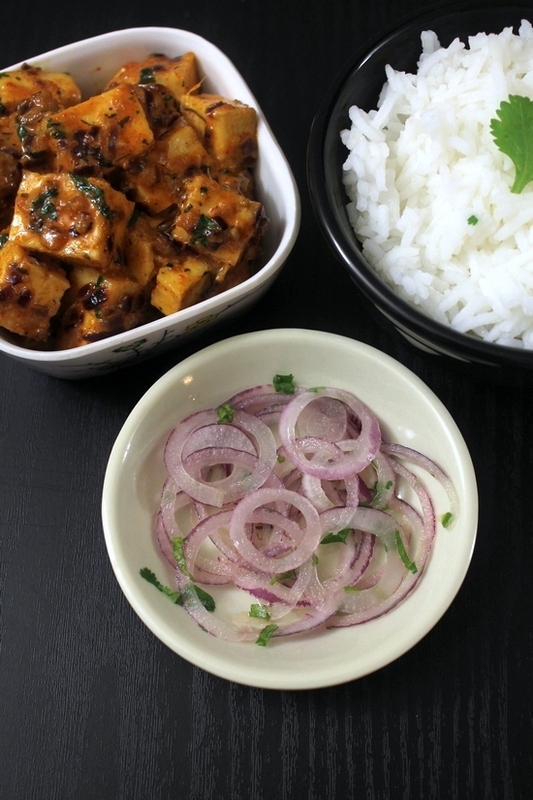 paneer butter masala, paneer bhurji, punjabi chole). Raw onions has sharp and pungent taste with strong smell. So to make it less pungent and to remove the lingering aftertaste, we are soaking the onion rings into the cold water for 15 minutes. If you prefer the strong onion taste then you can skip this step. This onion lachha needs to be served immediately. So make the small portion or as needed. Because of the salt in it, as time goes onion will starts to loose some water. Thus onions will not stay crunchy. Soak them in cold water for 15 minutes. you can skip this step. Add chopped green chili and coriander leaves. Also add salt and freshly squeeze some lemon juice. Mix well. Remove it to a serving plate and serve fresh.